This pool can only be described as an entertainers delight. 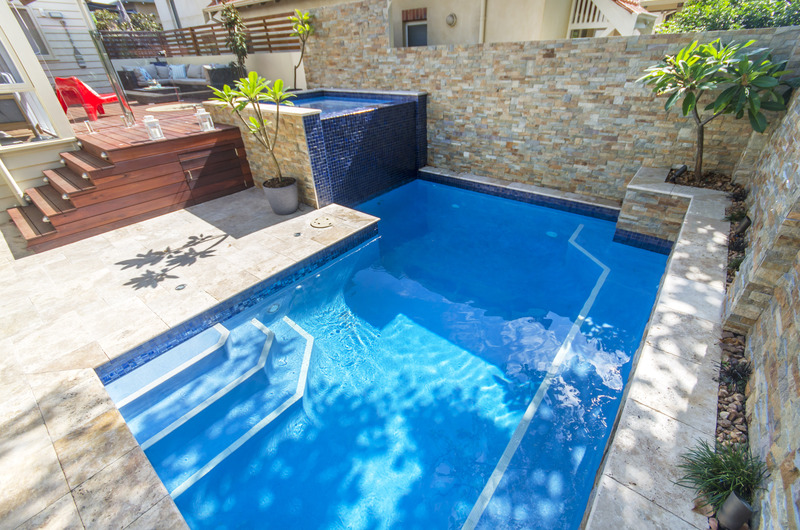 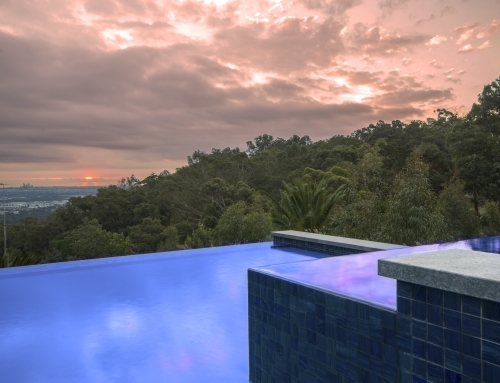 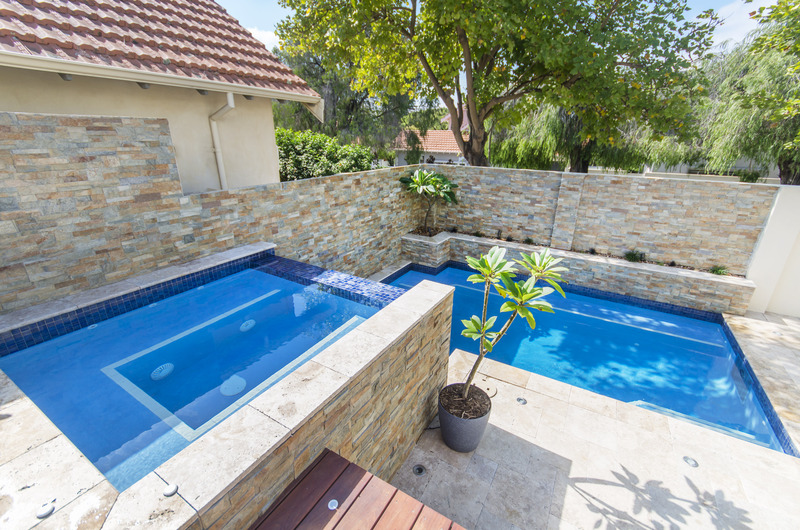 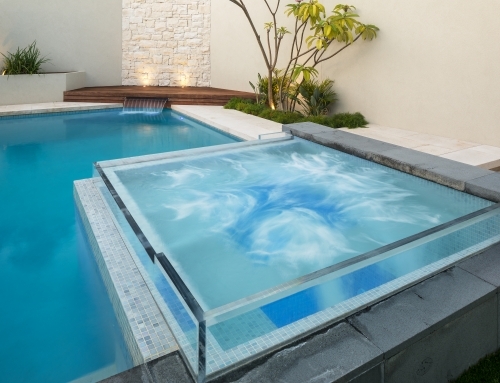 Functional and contemporary, this pool & spa combination features the enviable Remco swim jet system. 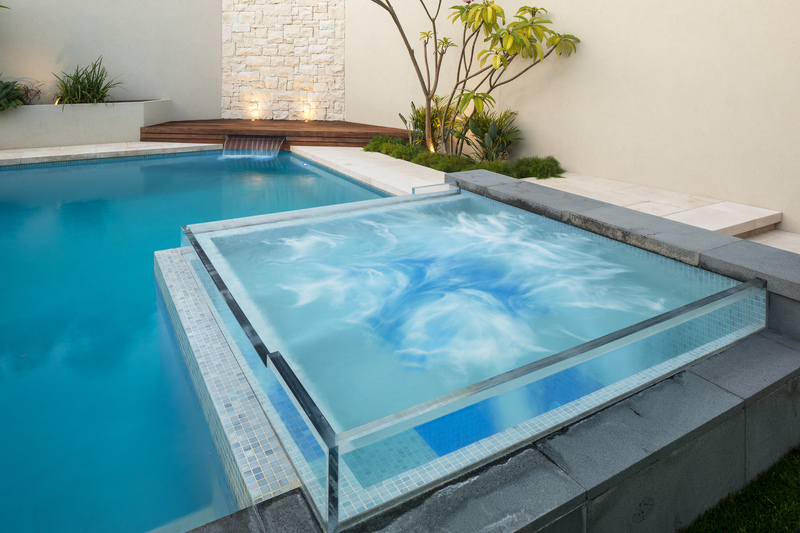 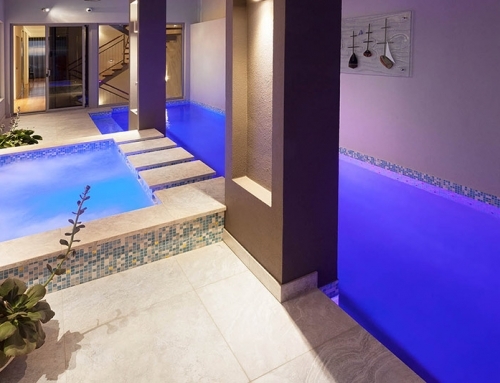 One remarkable element is the elevated spill-over spa, with integrated Astral Pool gas heater for a therapeutic aquatic experience. 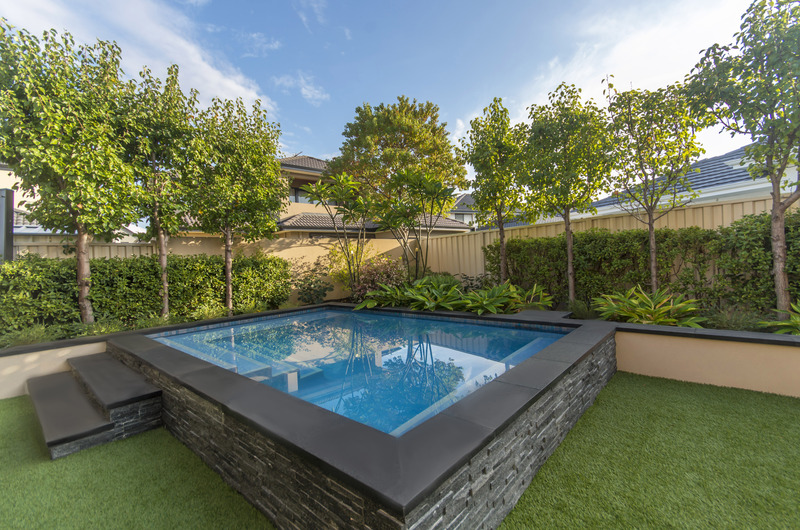 This carefully considered design enables the alfresco and surrounds to be at the same datum height as the spa making full & flowing use of an otherwise awkward space. 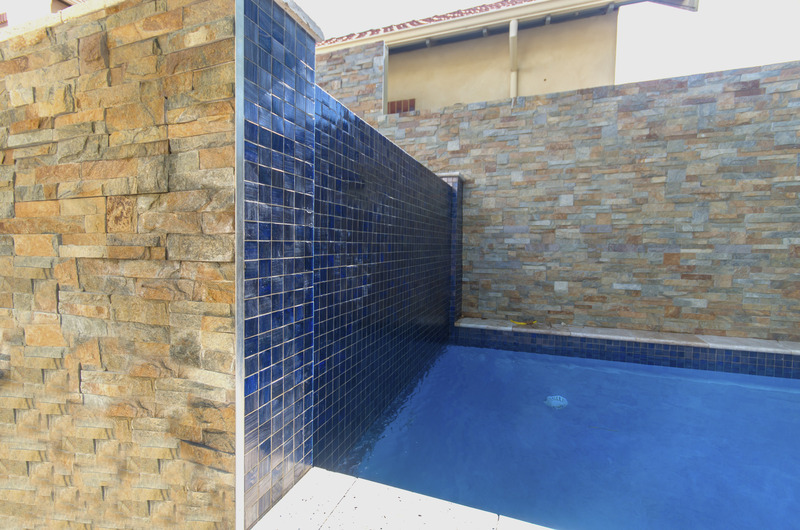 The high spillover is fully-tiled with mosaics creating an attractive feature from the swimmer’s vantage point. 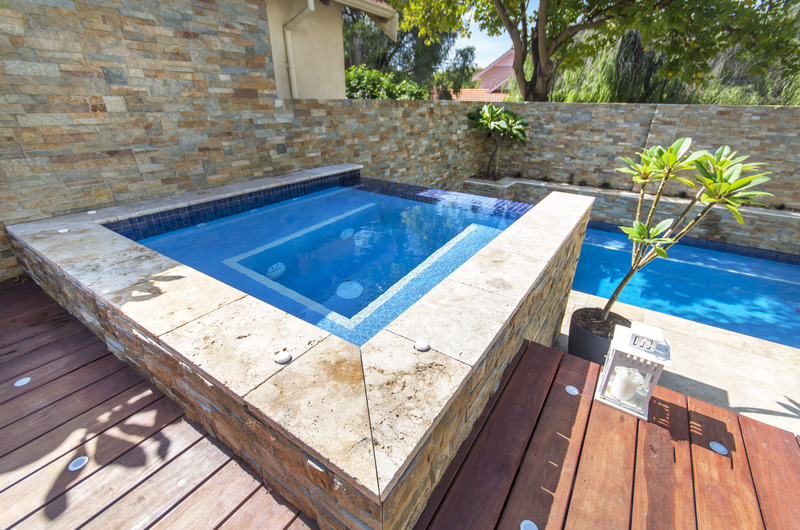 A variable speed pump which ramps up and down according to the pre-programmed schedule reduces the running costs whilst driving the filtration system. 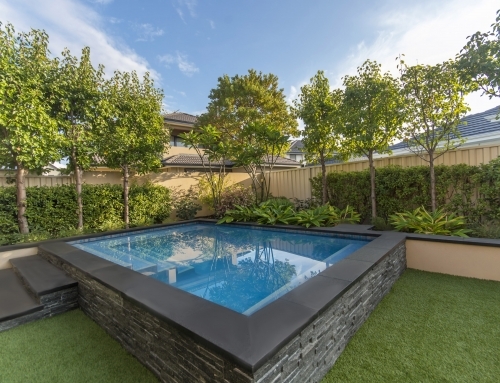 The five metre bench seat runs the full length below the boundary wall which is finished with the attractive Remastone “Goldrush” stone cladding. 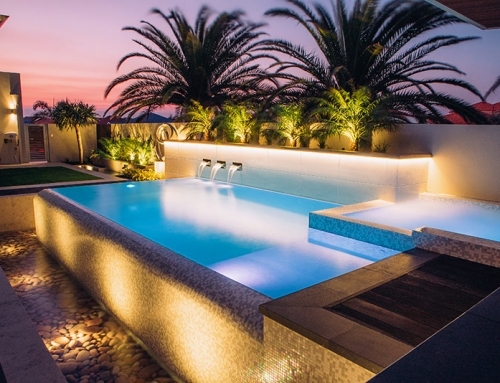 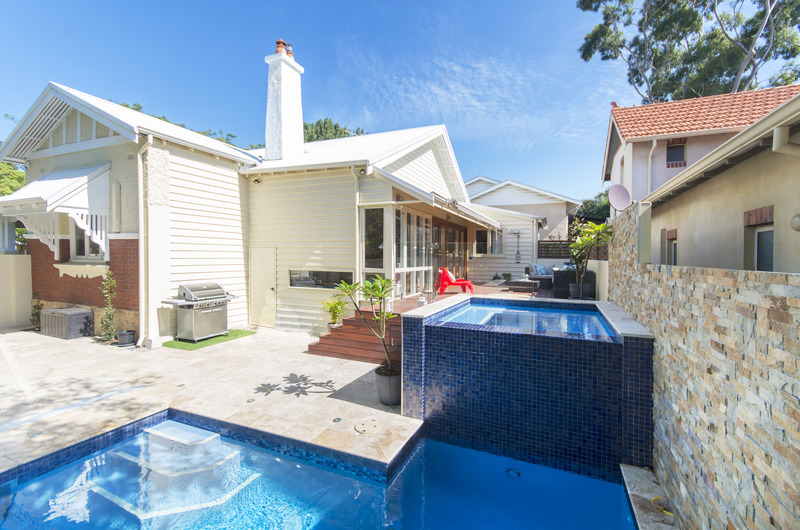 A heat pump ensures temperate water year round whilst an in-ground custom pool cover system, is ready for deployment when required but hidden when not – seamless!